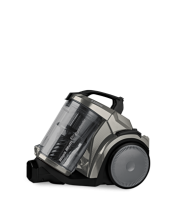 All Russell Hobbs vacuum cleaners are rigorously tested for ease of use, suction, manoeuvrability, cleaning and maintenance. We feel it’s the little things that matter most, like making sure you can get into those hard to reach places, different floor surfaces, stairs, making it easy to empty and ensuring the filters are easy to clean and maintain. The Russell Hobbs vacuum cleaner range provides an impressive list of features and functions for all your vacuuming needs.